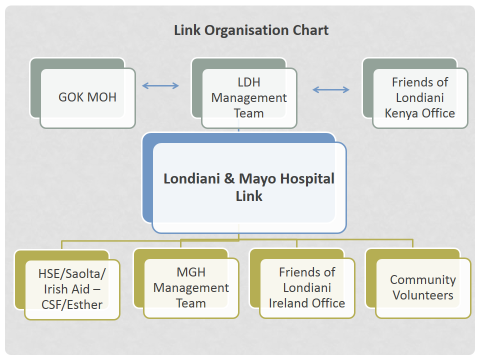 The Mayo General Hospital (MGH) Ireland -Londiani District Hospital (LDH) Kenya institutional partnership began in 2009, with the signing of the first Memorandum of Understanding. This partnership began with Friends of Londiani (FOL), a local NGO, facilitating the relationship between the two health institutions, much the same as it had done previously for school partnerships. 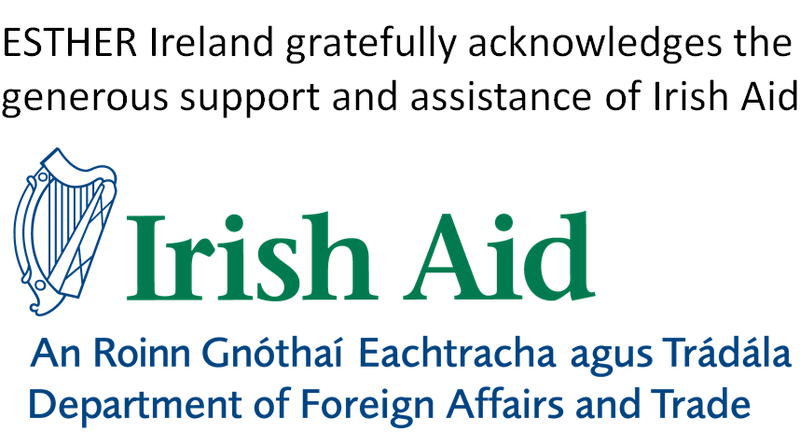 FOL is a community development organisation with members based in both Kenya and Ireland. Their focus is on provision of basic community services, starting with essential access to water, health and education. An update on FOL’s work to-date can be found in their 2014-2015 Annual Report. Londiani is located in Kenya’s Rift Valley Province, a region where the under-five mortality ratio still stands at 73 per 1,000 live births, a maternal mortality ratio of 400 per 100,000 live births, with only 16% of mothers deliver with the assistance of a skilled birth attendant. Given this context, the partners engaged with an inter-sectoral community maternal survival programme, after a thorough community-needs assessment. One of the targeted interventions supported by this partnership through the work of the FOL, has been towards the provision of essential obstetric and new born care (EONC) packages as well as training in lifesaving skills for assisted delivery and newborn resuscitation. Additional joint activities included the orchestration of a peer education health care project to reduce mother-to-child HIV transmission, as well as commissioning and building an operating theatre for LDH. Based on the similarities between the two district hospitals (demographic, rural catchment, governance structures, motivation and education). The partners see an equal potential for both institutions to benefit and grow their capacity. 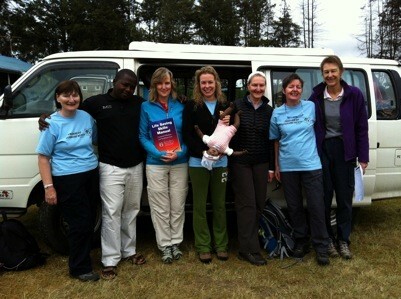 Since 2009, over 20 staff members and seven service teams have participated in reciprocal visits to Londiani and to Mayo. 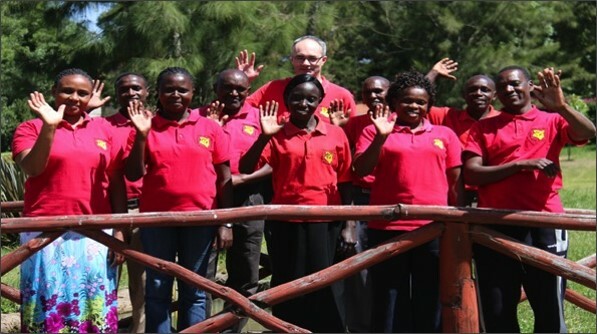 In September 2014, the Mayo-Londiani partners joined the ESTHER Alliance and formalised their relationship. Details of the ESTHER partnership and operational links were featured at the Irish Forum for Global Health International Conference 2014. Méabh Ni Bhuinneáin presented an update on the partnership at the ESTHER Alliance Meeting in April 2015. Most notably, she highlighted the running of reciprocal education schemes in obstetrics, tropical medicine, trauma, surgery, paediatrics, perioperative medicine, professional development, infection control, and project management. One interesting example of the partnerships linking work, has been an audit on the performance of caesarean sections. Results demonstrated large discrepancies between the rates of caesarean sections performed at the two district hospitals (32% Mayo; 1% Londiani). This evidence enabled partners to learn from each other’s experiences. In MGH, the evidence was used to shift the focus to ambulant care in labour, introducing alternative mother-to-child care techniques and normalising the birthing process. In LDH, these results were used to launch and commission staff training for life-saving obstetric surgery, which later saw an increase in the rate of caesarean section operations to 6.6%. For more of these incredible examples from our partners and ‘why we link’, please check our Partnership Panorama. As well, if you’re interested to learn more about FOL and what they do, check out to their Facebook and follow them on Twitter @londianicharity.